Why is the US-Japan-Australia-India Format being Revived? 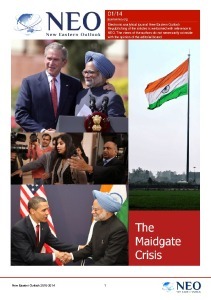 One clearly evident trend in the last year has been a revival of the QUAD Security Dialogue, consisting of four democratic nations: the USA, Japan, Australia and India. 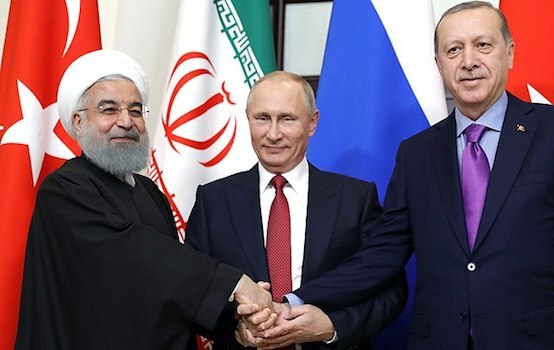 There have been a lot of comments on this process, from politicians, political observers and the media, and a number of commentators seem to be running ahead of things and are already referring to the group (which meets only occasionally and is, so far, purely consultative, in that it imposes no obligations on anybody) as QUAD 2 and a version of NATO for the Eurasian region. The key meeting which triggered the revival of this format was a discussion between the leaders of the “Four” which took place in Manila in November 2017, and in Singapore in June 2018 they decided to broaden the range of subjects to be covered in the meetings, and to hold such meetings on a regular basis. It was not long before the format started functioning in earnest: the first meeting, in summer 2018, discussed the tensions in the Maldives as a result of the serious standoff between India and China – which plans to build a military base with a naval dock for large ships and submarines on the islands. In the view of the former Foreign Minister of the Maldives, Ahmed Naseem, that standoff represents a dangerous escalation of the strategic situation in the Indian Ocean. At the end of Summer 2018 the “Four” called upon their allies, in emphatic terms, to do more to oppose the construction of Chinese military bases in other parts of the region. All this raises a number of quite reasonable questions: What factors are fueling the revival of this format? In what directions and within what limits is it developing, and are there any obstacles in its path? And which of its four participants has most to gain from this revival? We will try, to the best of our ability, to answer these questions, taking as our starting point the situation in the Eurasian region, where the key events are taking place, which is clearly changing. Firstly. Many experts believe – and their opinion is persuasive – that the evident revival of the format’s activities was triggered by the growth in fears about China’s dynamic economic and military resurgence. That explains certain parties’ determination to oppose China’s One Belt, One Road Initiative (OBOR), particularly given the weakening in the USA’s strategic position and influence following its withdrawal from the Trans-Pacific Partnership. In that context, it is not surprising that Washington started looking for new levers that it could use to rein in China, both acting alone, and as part of the QUAD Security Dialogue and other international groupings. The most recent step on this path is Donald Trump’s signature of the Asia Reassurance Initiative Act (ARIA) on 19 December last year, in the face of determined resistance on the part of the Senate. The new law provides for $1.5 billion of financing for the USA’s long-term multi-purpose strategic programs in the “free and open Indo-Pacific”, especially those supporting East and South-East Asia. In other words, the USA has set itself the goal of broadening its strategic and other interests in the region. Secondly. One factor, among others, that has particularly annoyed Washington is the scale and strategy of China’s investments, which have brought quite a few of the countries participating in the OBOR initiative (Sri Lanka, Bangladesh, Myanmar, Pakistan etc.) to the brink of a debt crisis because of the extremely high interest payable on the loans they have taken out. In October 2017, in an address to the Centre for Strategic and International Studies (CSIS), US Secretary of State Rex Tillerson directly described that policy as a threat to the Asia-Pacific region’s economy. In response to that threat, one increasingly promising option for the USA is to enter into a tandem with other members of the “Four” in order to create alternative financial and other structures, rather than unilaterally taking pot shots at the OBOR initiative. ARIA also deals with that issue, as well as the shared interests in the Asian and South China Seas and the ASEAN nations’ need for Washington’s support when they – and China – adopt a Code for Conduct in the South China Sea. It is significant that the first major issue to be addressed by the QUAD group, as they broaden their sphere of cooperation, will be an infrastructure project – which, by the way, was initiated by Japan as part of its “quality infrastructure” program for the Indo-Pacific nations. 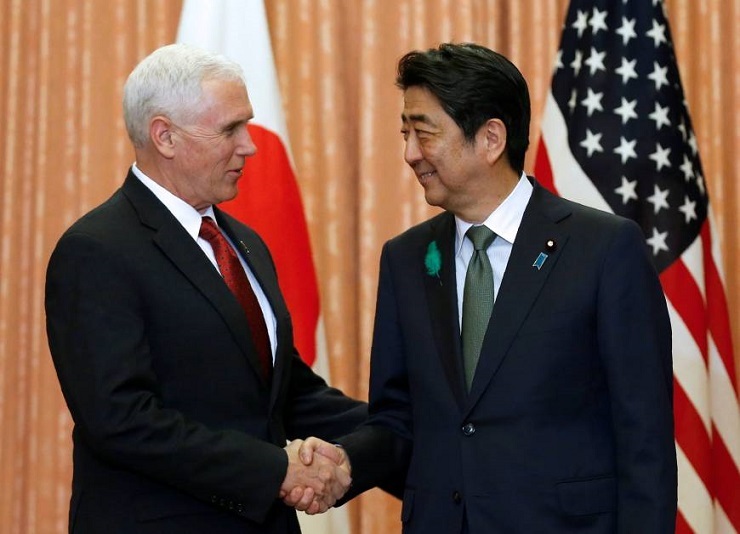 In their meeting on November 13, 2018, in Tokyo, US Vice President Mike Pence and the Japanese Prime Minister Shinzo Abe agreed to establish a $70 billion fund, to be invested in these projects. Thirdly. In parallel with the above steps, Donald Trump has undertaken a series of bilateral measures to strengthen the USA’s position in the infrastructure sphere, in opposition to the OBOR initiative. For example, in the 2017 and 2018 financial years the USA signed a $500 million agreement with Nepal, aimed at strengthening its electrical and transport networks The USA plans to provide Bangladesh – a major trading partner and recipient of US investment – with an additional $40 million for the construction of a coastal radar network. However, in terms of the sums of money involved, these and other investment projects (for example even the $60 billion allocated to the US International Development Finance Corporation, or IDFC, or the $113 million allocated by the White House in June 2018 to support the development of infrastructure in the Indo-Pacific region) are little more than mosquito bites when compared to the $1.3 trillion that Beijing has committed to spending on the OBOR initiative by 2027. In general, the strategy of Donald Trump’s administration looks – to say the least – like an attempt to resist the OBOR initiative at certain points, and that initiative, on the contrary, gives a clear picture – although imperfect and problematic – of the future relations between the countries in the region. a) Japan and the USA are recommended to consider participating in the Asian Investment Infrastructure Bank (AIIB) in order to support the high standards of projects, including those involving cooperation with China. b) QUAD and its partners should firmly resist the creation of Chinese bases, and demand that Beijing reconsider its approach to the issue of security, and be guided by the principles of cooperation and consultation. c) India, the USA and Japan should invite Australia to take part, on equal terms with the other participants, in the three-party Malabar naval exercises. d) The members of the “Four” should cooperate and support regional organizations such as the Indian Ocean Rim Association, the Indian Ocean Naval Symposium, the South Asian Association for Regional Cooperation, among others. The participants are now also considering inviting the countries in ASEAN, and other East Asian countries, to take part in its future meetings. For example, Australia, Japan, New Zealand and South Korea are planning to create a multi-million dollar fund to finance programs to extend Papua New Guinea’s electricity and Internet infrastructure. And, during the APEC summit in November 2018, the USA announced that it was allocating $300 m to BIMSTEC: this will help provide the countries in South and South East Asia with information from their partners about shipping and about possible threats in the region. In November 2018 the new Australian Prime Minister, Scott Morrison, lost no time in describing QUAD as the most important international grouping in the Indo-Pacific region, enabling both strategic and economic cooperation. Meanwhile, a number of commentators are still rather skeptical about the activities of the “Four” – they question whether there is any real need for such a group and whether it is making any difference, and note that it is making very slow progress in its journey towards becoming a permanent body. It is, in summary, still unclear whether the grouping has really been revived. India’s position is not really helping matters: a number of experts go so far as describing it as uncooperative, or even as the grouping’s weak link. Such an attitude on the part of Delhi is entirely understandable if we consider Narendra Modi’s current tentative moves to paper over some of the cracks in India’s complex and delicate relationship with China. As for Beijing’s reaction, the Chinese Foreign Minister, Wang Yi, has rather ironically referred to the grouping as a bloc that is crawling along on all fours, and which, for all its headline-grabbing ideas, will dissipate like sea foam over the waters of the Pacific and Indian oceans. Time will show whether or not China’s assessment of QUAD-2 is too precipitate.